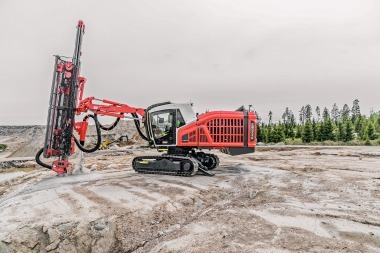 Leopard DI650i down-the-hole (DTH) drill rig is designed for demanding high-capacity production drilling applications in surface mining, as well as large-scale quarry applications. In addition to a powerful engine and compressor, Leopard DI1650i incorporates a highly ergonomic iCAB cabin, excellent serviceability, mobility and fuel economy, along with scalable automation packages to offer excellent overall productivity. Pipe sizes range from 89 to 140 mm (3.5 to 5 in), depending on the size of the hammer. The maximum hole depth is 53.6 m (175 ft 10 in) when utilizing the carousel option with pipe sizes from 89 to 114 mm. The capacity range of 403-kW Tier 3 CAT C15 diesel engine and reliable compressor is adequate for highpressure drilling with 4 to 6.5 inch DTH hammer sizes. Intelligent control technology applied in both the compressor and the hydraulic system’s cooler fan can reduce fuel consumption by up to 15 % compared with conventional DTH rigs. 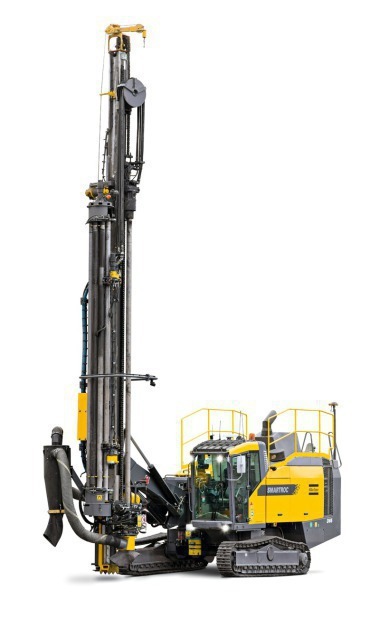 Leopard DI650i’s fuel efficiency is further boosted by the flow-controlled drilling control system that eliminates fluctuations in airflow, instead allowing the pressure level to fluctuate in response to more difficult ground conditions and increased back pressure (for example, due to groundwater or collapsing holes). 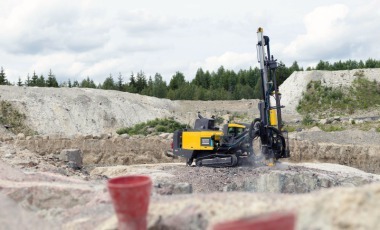 This makes maximum flushing pressure and penetration rates available in the most challenging of rock conditions, while still retaining the low fuel consumption of the traditional pressure control approach in easy ground conditions. 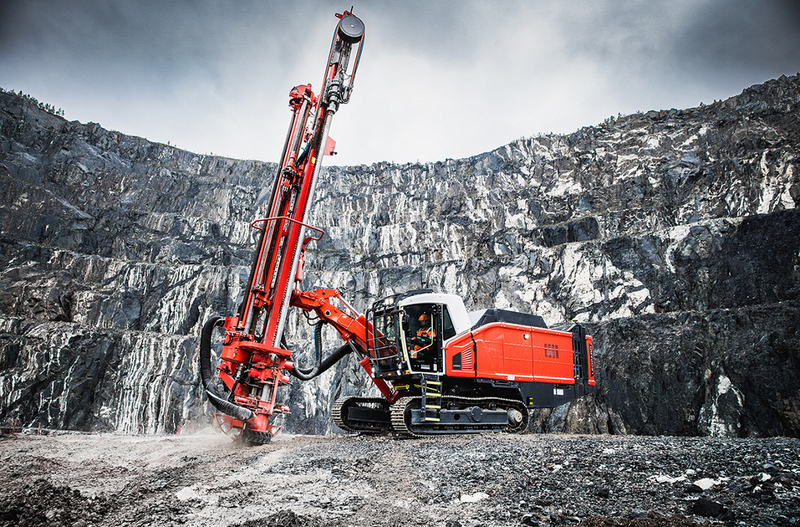 Leopard DI650i joins Sandvik’s other i-series drilling rigs in its compatibility with the newest scalable automation solutions. 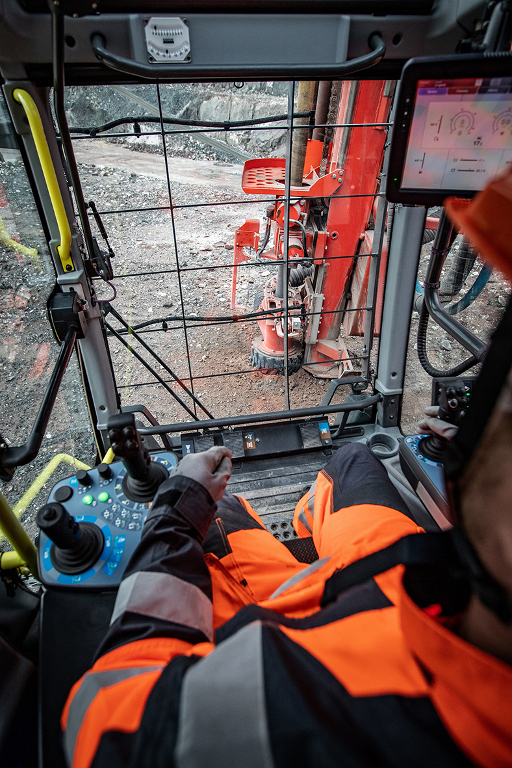 The latest onboard options include TIM3D drill navigation with wireless data transfer, My Sandvik fleet monitoring system and full-cycle drilling automatics, which merge functionalities such uncoupling, feed autoaligning and feed auto positioning into a single efficient sequence. 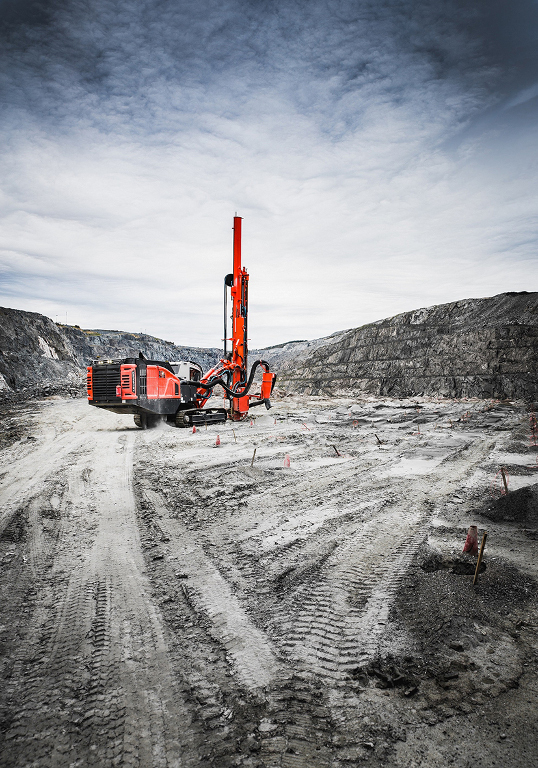 These capabilities can be further upgraded with more advanced modules such as single-rig or fleet remote control systems by Automine® Surface Drilling.